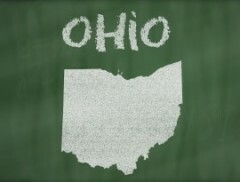 Ohio had set a Sept. 8 deadline to have a fully operational medical marijuana market. But the state confirmed this week what industry observers have predicted for a while: It’s not going to happen. It’s unclear when MMJ products will start appearing on dispensary shelves, and what the business impacts will be in the meantime – although companies that already have spent thousands on rent and real estate-related costs will have to pony up even more money. “I think it’s a little too early to know,” Tom Haren, an attorney at Frantz Ward in Cleveland, told Marijuana Business Daily. Haren, who represents grower, processor and dispensary applicants, said the biggest impact probably will be for dispensaries, many of which will be ready to open their doors without products to sell. Cultivators and processors also may be left holding the bag, waiting for their products to be tested.